Susan Lienau is the Assistant Vice President for Philanthropic Operations at Averill Fundraising Solutions. Susan has more than 10 years’ progressive leadership, corporate operations, and market study experience. She joined Averill in 2012, and has developed the policies and infrastructure that are the foundation of the firm. She has extensive experience across all not for profit sectors, Averill operations, feasibility and planning studies, development assessments, prospect research, and employee recruitment and training. Over her tenure with Averill she has contributed to numerous planning studies, development assessments, and campaigns for clients throughout the United States and Canada. As Assistant Vice President for Philanthropic Operations, Susan leads the Averill team with project coordination, prospect research and identification, professional training and recruitment, and client development through a strategic marketing plan. Prior to joining Averill, Susan worked in the public sector overseeing the operations for the offices of local elected officials and governmental departments. Susan was instrumental in several legislative initiatives and securing funding for organizations and programs. 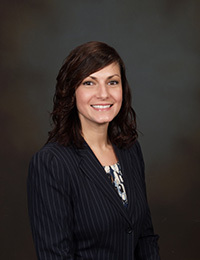 Susan Lienau has earned a Masters of Professional Studies degree from SUNY Stony Brook and is a graduate of SUNY Albany where she received a Bachelor of Arts degree. She has earned her Leadership in Energy and Environmental Design (LEED) accreditation through the U.S. Green Building Council. Susan enjoys traveling, reading, competitive running and is dedicated to her yoga practice. She currently resides on Long Island, NY where she is active in her local community serving on various committees and organizations. ← Robert C. Happy, Jr.